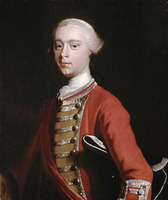 LAWRENCE, CHARLES, military officer, governor of Nova Scotia; b. c. 1709 in England, son of Herbert Lawrence; d. Halifax, Nova Scotia, 19 Oct. 1760. 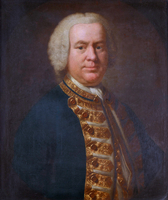 Early in July 1755 a group of 15 delegates from Minas (Grand Pré region) came before the council to present a petition concerning the confiscation of their boats and arms that spring by Alexander Murray at Fort Edward (Windsor). Lawrence took advantage of their presence to demand of them an unqualified oath of allegiance. The Acadians were reluctant to believe that the English would at last enforce the oath or protect them from Indian and French reprisals if they now took it. Consequently they refused the unqualified oath without a general consultation with the populace of Minas. Lawrence and his council insisted that each man decide on the oath himself, and when they still refused to do so they were imprisoned. Exasperated by the Acadians’ intransigence the English became legalistic and felt compelled to pursue their course to the end. 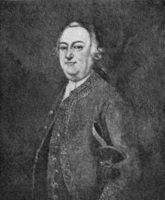 New Acadian delegates were summoned from Annapolis Royal and Minas to meet with Lawrence and the council, which included John Rous, John Collier, and Jonathan Belcher*. 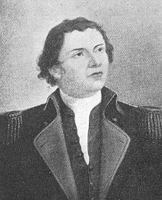 On 25 July the Annapolis delegates were told “they must now resolve either to take the Oath without any Reserve or else quit their lands, for that Affairs were now at such a Crisis in America that no delay could be admitted.” They and the Minas delegates refused the oath and on 28 July were “ordered into confinement.” The council, having resolved to expel all Acadians who rejected the oath, agreed that “it would be most proper to send them to be distributed amongst the Several Colonies on the Continent.” Admiral Boscawen and Vice-Admiral Savage Mostyn attended this meeting and assented to the council’s decision. 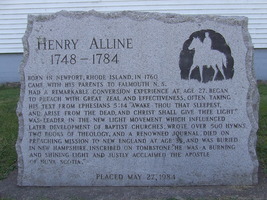 Over the next few months most of the Acadian population of Nova Scotia was rounded up and transported to the American colonies, from Massachusetts to South Carolina. Settlers were reluctant to break new forest land while the marsh land of Chignecto and the cleared areas of the Annapolis valley were vacant. To resolve this difficulty, Lawrence preferred to combine old land with new in each grant and thus offered favourable conditions usually permitted only to those breaking in new lands. He had been instructed to submit proposals for settling the old lands to the Board of Trade, but he disregarded this directive and informed the board of his policies after the fact, as was his custom. 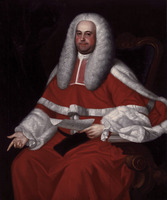 The board was angry, but by the time it had explained that the good lands were intended as rewards for the army and navy, Morris had surveyed lots with representatives of “some hundreds of associated substantial families” from New England and had promised them advantageous conditions. 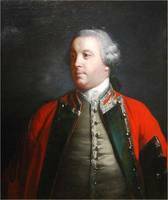 The board could not cancel the arrangements and had to be satisfied with Lawrence’s assurances that new land taken by Monckton’s expedition up the Saint John River in the fall of 1758 and land on the Miramichi River would be kept for the military. 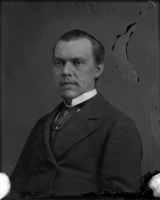 Lawrence wrote privately to Lord Halifax, however, to point out that servicemen were bad settlers. Their “drunken, dissolute and abandoned” habits, “particularly that most unhappy one,” idleness, made them quite unsuitable. 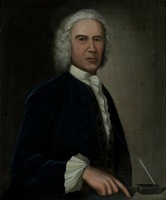 Lord Halifax’s influence ensured that when the commissioners for Trade and Plantations received copies of the grants in 13 townships at the end of 1759 under conditions which they had earlier condemned, they wrote that it was a great satisfaction “to us . . . to express to you our approbation.” From the Board of Trade, which seldom had anything good to say about its governors, that was praise indeed. BM, Add. mss, 32736, p.259; 35870, pp.161, 163, 166, 175; 35909, f.139; Egerton mss, 3401–97 (Holdernesse papers). Nottingham University Library, Newcastle papers (Henry Pelham), Ne C 971, 1002, 1203a. PAC, MG 11, Nova Scotia B, 8, pp.183–84; MG 18, F13; F20; M1, 4, 5, 8, 11, 20; N15; N16. PANS, RG 3, Minutes of Nova Scotia Council, 16 Aug. 1759. PRO, CO 5/13–19; 5/21, ff.4, 59, 76–78; 5/46; 5/47; 5/52; 5/212; 217/10; 217/14–18; 218/2; 218/3; 218/4, f.425; 218/5; 218/6; 324/12–15; 325/1–2; WO 34/13; 34/46; 34/46B.. ... Coll. doc. inédits Canada et Amérique, I, 142, 148; II, 146. Correspondence of William Pitt (Kimball), I, 140. [Charles Lawrence], Journal and letters of Colonel Charles Lawrence (PANS Bull., 10, Halifax, 1953). 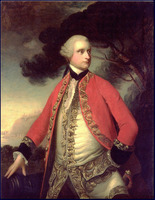 Military affairs in North America, 1748–1765: selected documents from the Cumberland papers in Windsor Castle, ed. S. M. Pargellis (New York, London, 1936). Northcliffe coll. N.S. Archives, I. PAC Report, 1894; 1905, II, pt.iii. Royal instructions to British colonial governors, 1670–1776, ed. L. W. Labaree (New York, 1935). [Abijah Willard], “The journal of Abijah Willard, an officer in the expedition which captured Fort Beauséjour in 1755,” N.B. Hist. Soc. Coll., 13 (1930). Winslow, “Journal,” N.S. Hist. Soc. 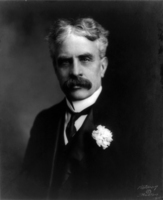 Coll., III (1883); IV (1885), 113–246.. ... Bell, Foreign Protestants. Brebner, Neutral Yankees; New England’s outpost. 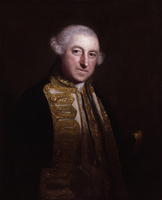 D. S. Graham, “British intervention in defence of the American colonies, 1748–1756” (unpublished phd thesis, University of London, 1969); “The making of a colonial governor: Charles Lawrence in Nova Scotia, 1749–60” (unpublished ma thesis, University of New Brunswick, Fredericton, 1963). 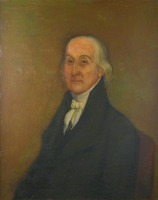 S. M. Pargellis, Lord Loudoun in North America (New Haven, Conn., London, 1933). 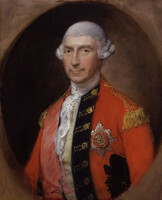 J. C. Webster, The forts of Chignecto; a study of the eighteenth century conflict between France and Great Britain in Acadia (n.p., 1930), app.ii, 28–29, 36. 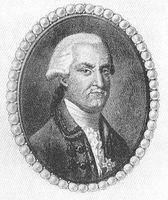 D. S. Graham, “The planning of the Beauséjour operation and the approaches to war in 1755,” New Eng. Q., XLI (1968), 551–66. 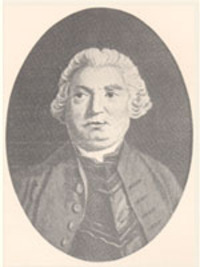 J. F. Kenney, “The genealogy of Charles Lawrence, governor of Nova Scotia,” CHA Report, 1932, 81–86. W. P. Ward, “The Acadian response to the growth of British power in Nova Scotia, 1749–1755,” Dal. 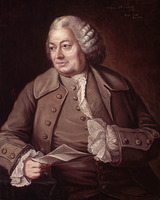 Rev., LI (1971), 165–75..
Dominick Graham, “LAWRENCE, CHARLES,” in Dictionary of Canadian Biography, vol. 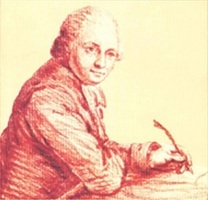 3, University of Toronto/Université Laval, 2003–, accessed April 24, 2019, http://www.biographi.ca/en/bio/lawrence_charles_3E.html.